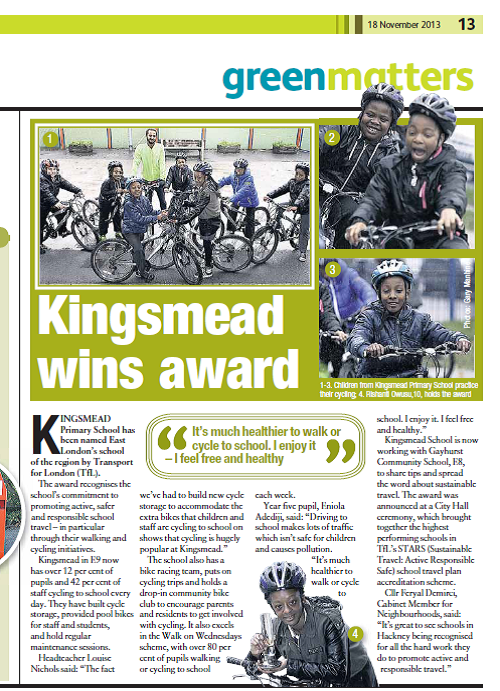 Kingsmead School has been named ‘School of the Region’ for East London by Transport for London (TfL), because of all the work we do at school to promote active, safer and responsible school travel within the community. 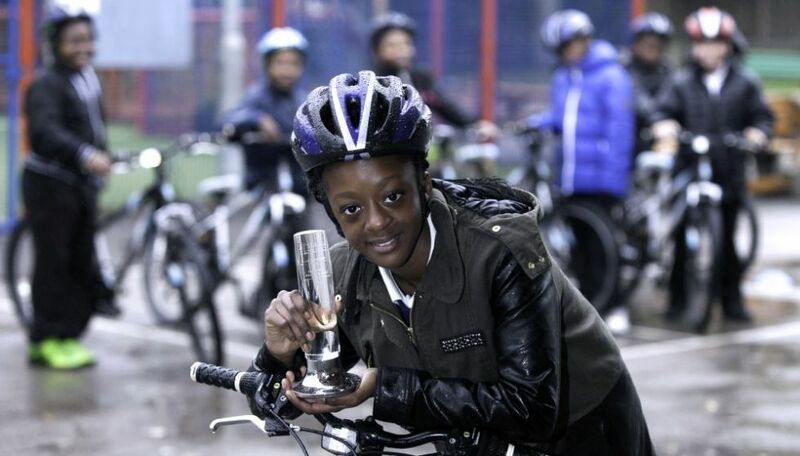 This annual award is offered to only four Primary schools across all the London boroughs. TfL were very impressed by all the different things we have in place here at Kingsmead to encourage staff and students to walk or cycle to school (and not to use cars for the school journey, which increase traffic and pollution in the area). 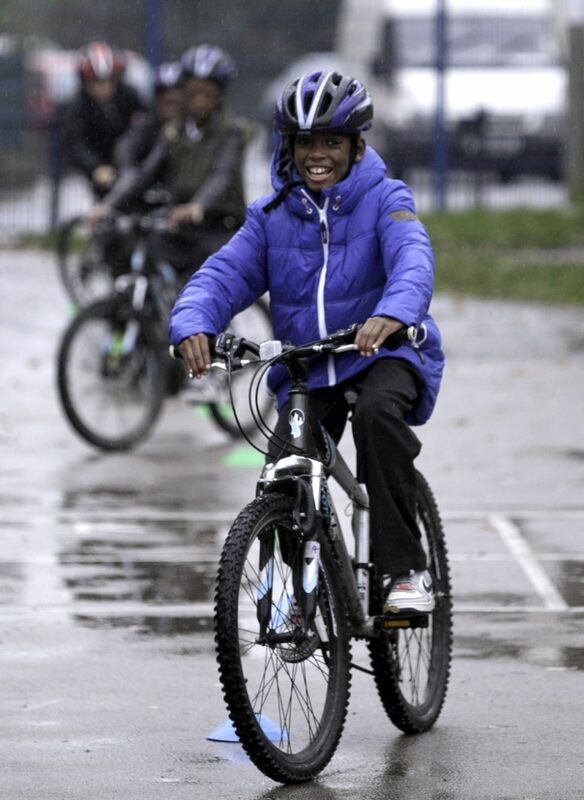 We now have over 15% of pupils and 42 % of staff cycling to school on a daily basis. 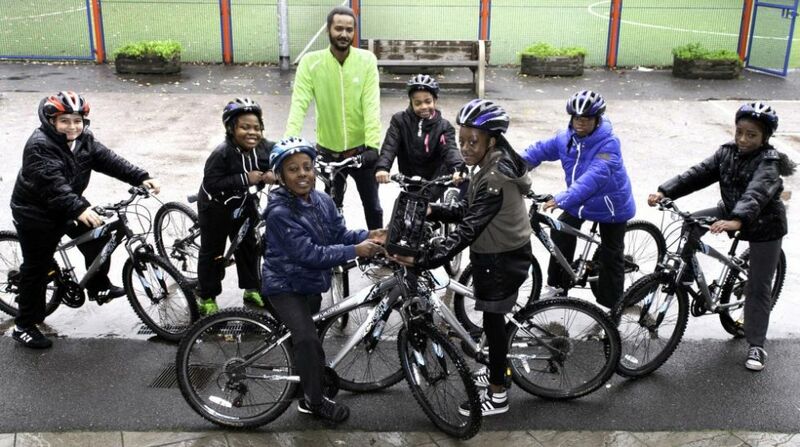 We have trained two members of staff as cycling instructors (Roderick and Kwame), teaching children in years 4, 5 & 6. We have built new cycle storage to accommodate all extra bikes being brought in to school. We also have pool bikes for staff and students to use, we hold regular Bikers’ Breakfasts and Dr Bike session and we have a bike racing team who regularly compete. Lots of our children take part in the Walk on Wednesday scheme too. 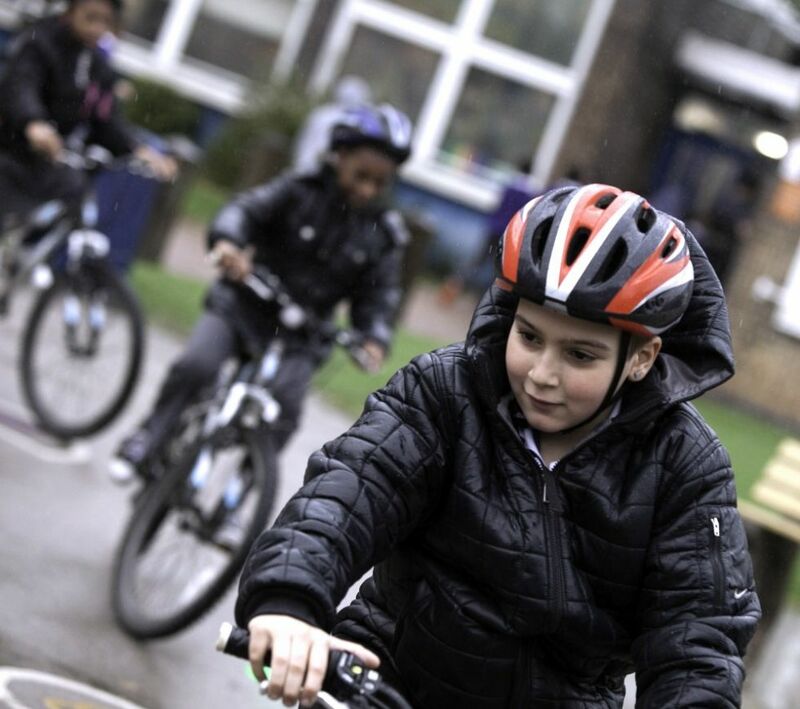 SO if your child isn’t already walking, scooting or cycling to school, join the large number of pupils who are, and help to reduce traffic and pollution in the area and improve your child’s fitness levels at the same time.